It is with deepest sorrow that we inform you of the passing of CereCare Wellness Centre's founder, Lu Shun Ling. 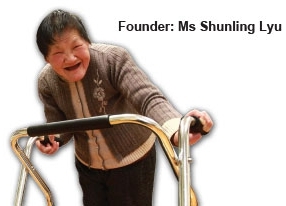 Lu Shun Ling devoted her life to making a difference in the lives of children with cerebral palsy. To this end, she worked tirelessly for over 50 years. It was her fervent hope that Cerecare Wellness Center will carry on with the mission of creating futures for children with cerebral palsy. Established in 2003, CereCare is a care centre that provides effective treatment methods for about 30 children who live with cerebral palsy (CP). The Chamber has been supporting the centre for over 14 years. A memorial service was held yesterday (12 Jun) at the Farewell Hall of Shanghai Fudan University Medical School, as Lu Shun Ling had decided to donate her body to the school for research purposes. To learn more about CereCare Wellness Centre and its founder, please visit www.cerecare.org.cn.